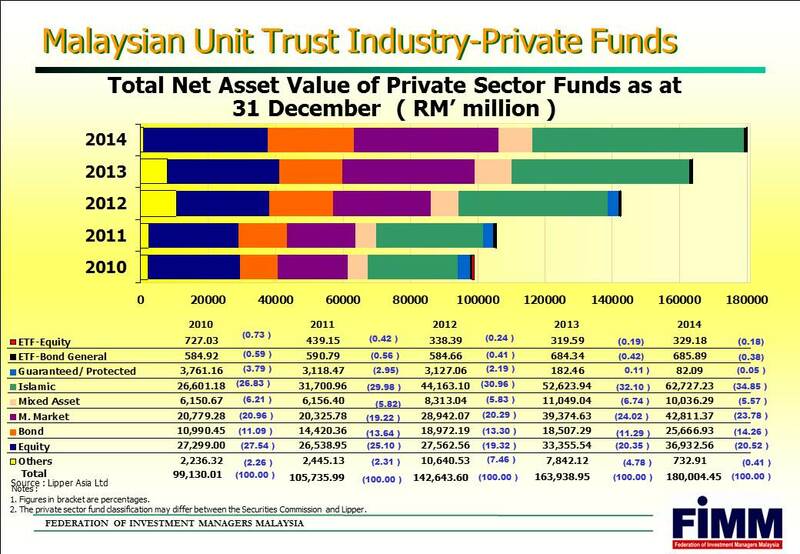 A Personal Finance Blog for Malaysian: Why invest with Unit Trust? Why invest with Unit Trust? They are well-diversified: Unit trusts spread the risks involved in investing because they invest in a variety of financial instruments, including stocks, bonds, properties, commodities, currencies and cash. They are professionally managed: Unit trusts are managed by professional fund managers. Their job is to monitor your investments and make necessary investment decisions based on research and analysis in order to generate a good return. You can invest all over the world: Unit trusts are invested all over the world and in various business sectors. This way, you have a lot more opportunities. Think China might boom? Interested in property stocks? Unit trusts pick out the best companies in these sectors for you. You only need a small amount of investment to start with: You can begin with a Regular Savings Plan (RSP), where you instruct us to automatically deduct a certain amount, which can go as low as RM100 from the cash account to make unit trust purchases at regular intervals. With unit trusts, a small sum buys you into a well-diversified portfolio. 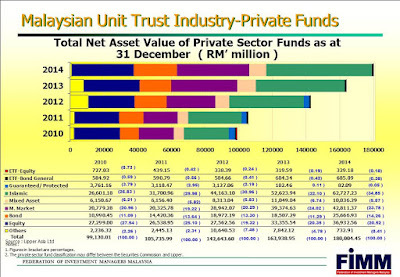 Buying and redeeming is simple: Most unit trusts in Malaysia allow daily buying and selling of units. As long as we receive your orders by the day's trading cut-off time, you can be assured that your purchases or redemptions will be transacted at that day's prevailing price. It is relatively safe: If you have a low tolerance for risk, you can choose a fixed income fund that can give stable returns. Generally, over the medium to long term, it will likely perform better than your fixed deposits. Independent financial adviser (IFA) (also known as financial adviser's representative, FAR) supports iFast Capital, an integrated platform to make investment easier and cheaper. visit http://far.chongkonghui.com for more information about IFA. 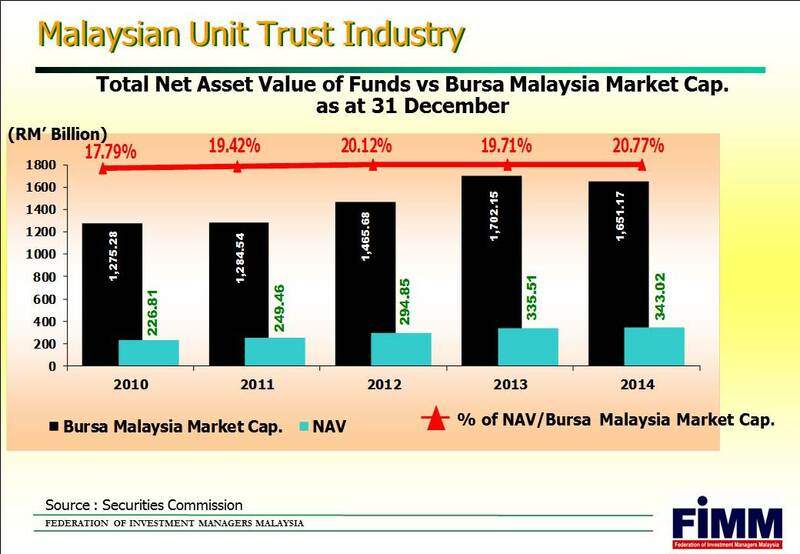 The % of NAV in Bursa Malaysia has been increased over last few years. The impact is getting more significant. 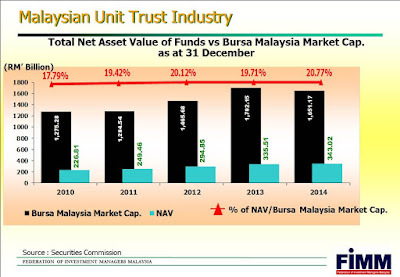 Why take risk when you can invest in Bursa via Unit Trust.